It’s almost father’s day. You know what that means: ads galore filled with Father’s Day stereotypes featuring beer, BBQ’s, and balls (well, mainly football). When did Father’s Day start boiling down to such a small range of poorly thought out gifts? Where Mother’s Day is filled with overly-sweet, cuddly, often chocolate and wine laced gift ideas, Father’s Day seems to have fallen down just as steep, slippy slope of stereotypes. How many personalised beer mugs, ugly ties, and oddly patterned socks do our Dads, Grandads, Uncles, and special like-a-father figures need? And who really needs a personalised apron and BBQ tong set? When did store bought cards and over-priced novelty gifts destined to collect dust at the back of the cupboard become the norm? When did handmade, small, thoughtful gifts and little home-made items fall out of fashion? This Father’s Day, we want to ditch the Top Gifts To Buy lists and help create a more mindful, less commercial celebration. You’re never too old to make something special for the ones you love. Colouring, painting, drawing, crafting – let your imagination run wild, and create something that shows them how well you know them and how much you care. Try making a happy memories box to share with them, or printing off a favourite photo of you together to make (or decorate) your own frame. 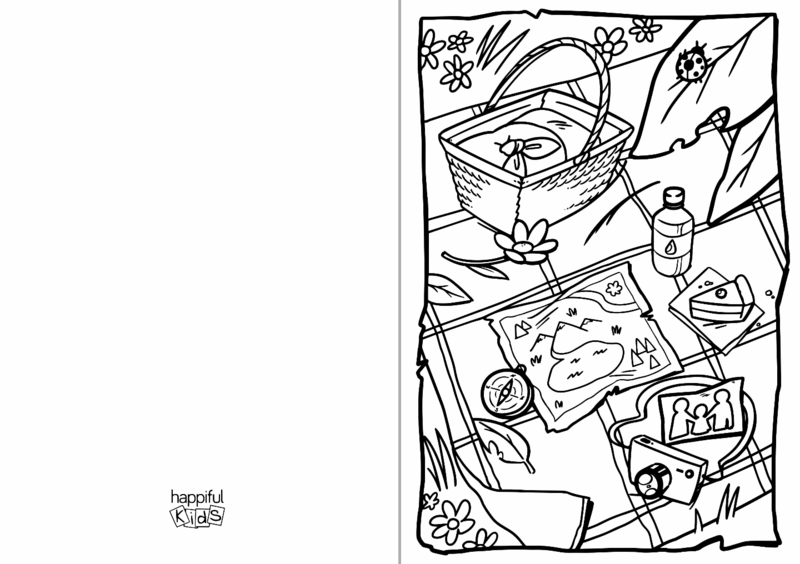 For younger kids, show Dad he’s your hero with our special My Hero colouring page or My Hero card. 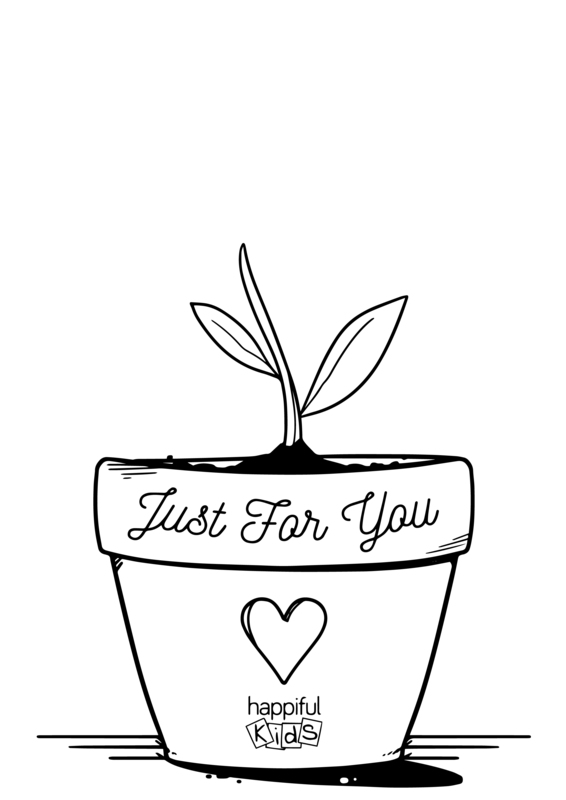 Older children or teens can go a little less traditional and make Dad some flowers with this great, free Just For You card or page. Organise a hike or plan an outdoor adventure you can take together or enjoy as a family. Revisit a favourite spot, find a new route, or head outside and see where the path takes you. Why not try taking a picnic with you to enjoy a longer peaceful moment while you’re out. If the weather takes a turn for the worse, you can always switch things up and have a picnic at home. Add a homemade touch by making a few special dishes, or try this tasty chocolate and chickpea trail mix recipie. 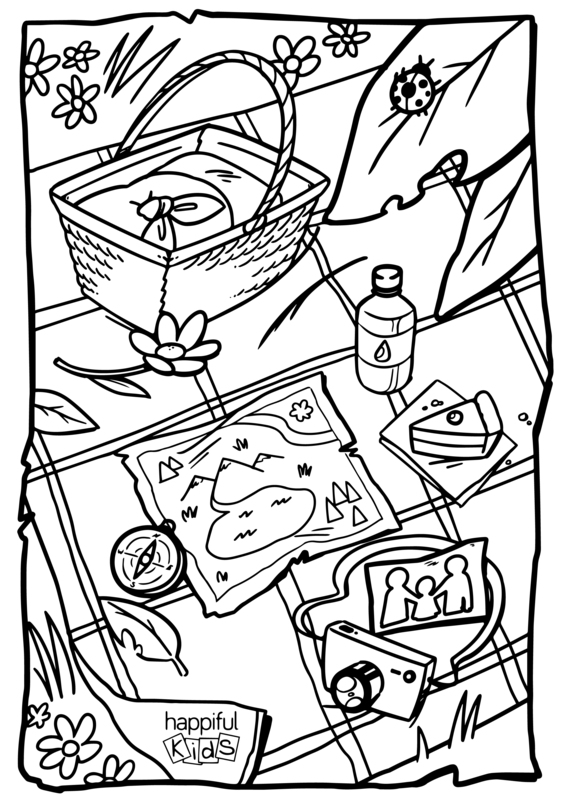 Get the kids involved with the planning or keep little hands busy while you get ready with this special Back to Nature colouring card we’ve put goether as a little extra handmade gift for Dad. Take control and treat Dad to a healthy BBQ with these great recipes the whole family can appreciate (yes, we know we said no BBQs, but as we’re not advocating a new set of tongs or a novelty apron, we hope you’ll let this one slide). If you’re looking for a more child-friendly option, try baking. It’s not only fun, but also good for your mental health. Our friends at Nutritionist Resource have shared some great tips on how to make baking healthier. We totally recommend making these tasty sticky toffee pudding cupcakes. Finding the right thing to give your Dad or the perfect words to say can seem like a pretty impossible task. It’s easy to forget that the most memorable gift can be something as simple as spending time together. Dr Sherylin Thompson, chartered counselling psychologist and founder of The BeingWell shared her top tip for having a more mindful celebration. Maybe you’ve got more than one person you want to celebrate with, or someone you’d like to show your appreciation for making a big impact and being there for you. Perhaps you just want to show you care by celebrating in a non-traditional way. Why not try celebrating on different days, or extending the festivities over the whole weekend – who’s to say Father’s Day has to be limited to just one day? If we still haven’t convinced you to swap the shops for a commercial-free Father’s Day, here are a few little practical tips on how to choose something your loved one will really one. No, we don’t mean buy them something with their name written across it. Pick something that reflects a little bit of their personality (and yours, too). Try and incorporate a little something that shows you know and care about them; it could be as simple as finding something in their favourite colour, or searching for something that reminds you both of a memory or experience shared together. Avoid novelty items or clutter that could end up relegated to the back of the cupboard (or the local charity shop). Funny gifts can seem like a good idea at the time, but they aren’t likely to be memorable or useful in the long run. There might be a great deal on gift sets, chocolates, or specially packaged spirits, but if the person you’re buying for doesn’t have a sweet tooth or isn’t a big fan of alcohol, it’s a waste of your money. Show them how well you really know them with a more thoughtful gift tailored to what they love. Acknowledging your Dad or special person is what really matters. Make sure they know that you love them and care about them, that you appreciate and are thankful for everything they do.